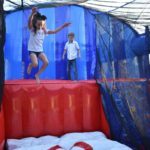 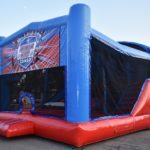 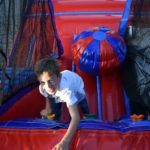 This is not your average bounce house, with not just one bounce activity for guests, but several all within one confined bounce house space. 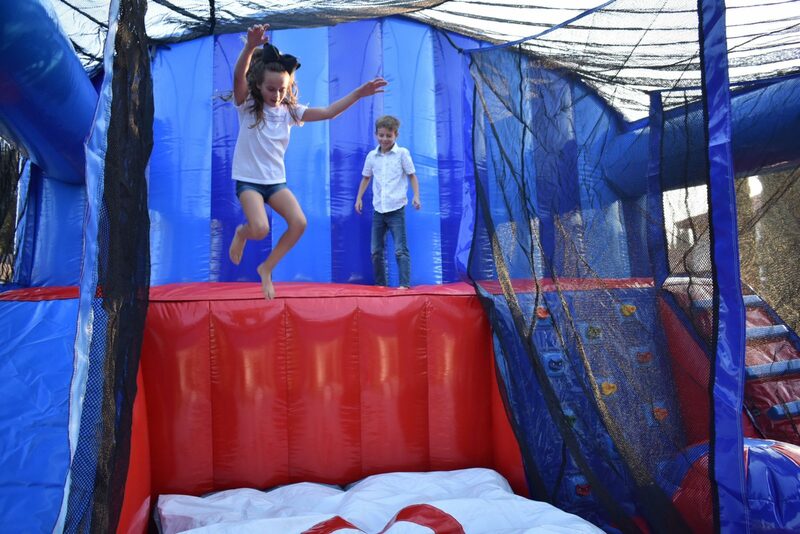 This saves space and keeps guests entertained longer! 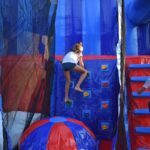 Guests can enjoy climbing on the inflatable structures inside, the inflatable slide, jump from the inflatable free fall area with inflatable cushioned landing area, play a game of mini basketball, or use the inflatable rock climbing wall. 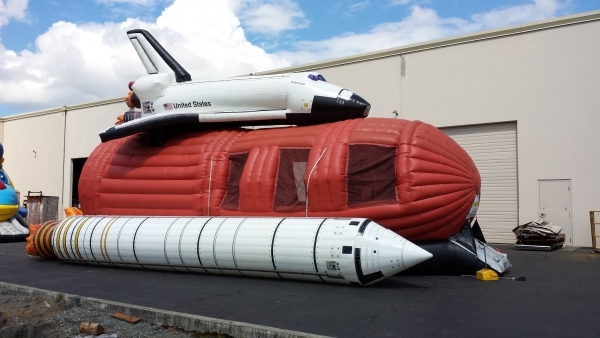 There is something for everyone with this inflatable! 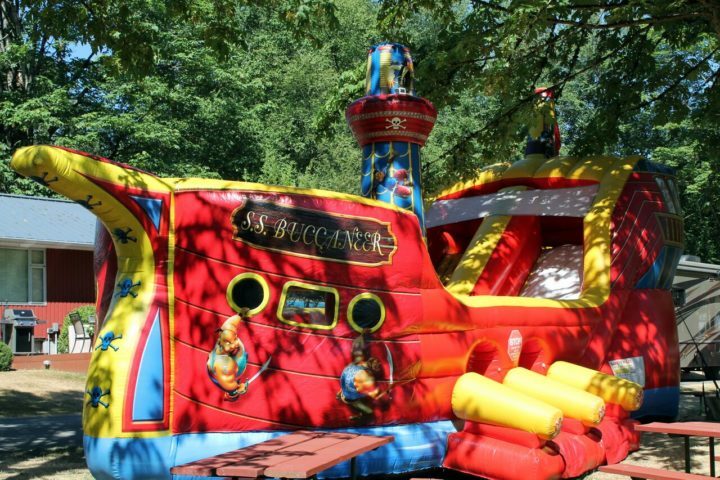 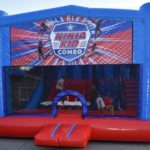 Check out the rest of our rental catalog for more inflatable fun or inflatable combo units for your next carnival, fundraiser, or birthday event.